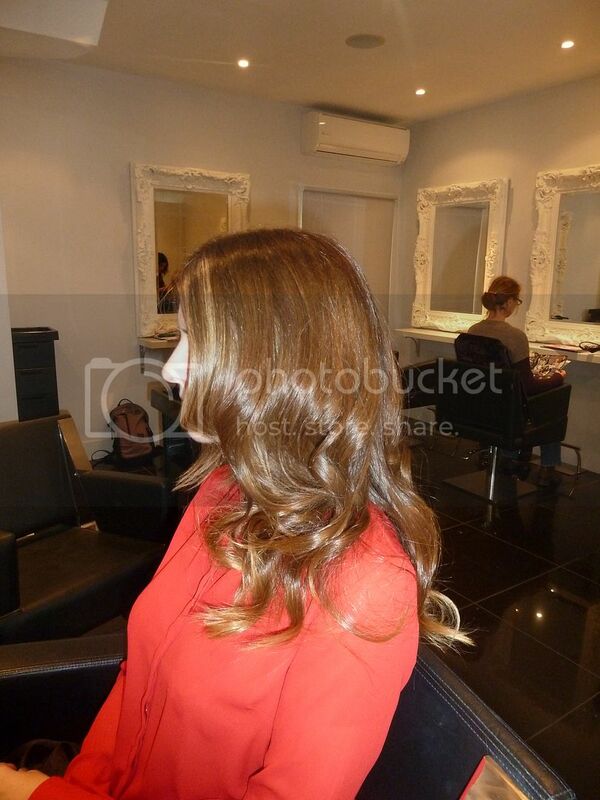 Hair Botox, a Cut and Curls! In my constant chitter chatter about about hair I have on twitter, I ended up getting into hair chats with fabulous Sinead Kelly (follow her here). 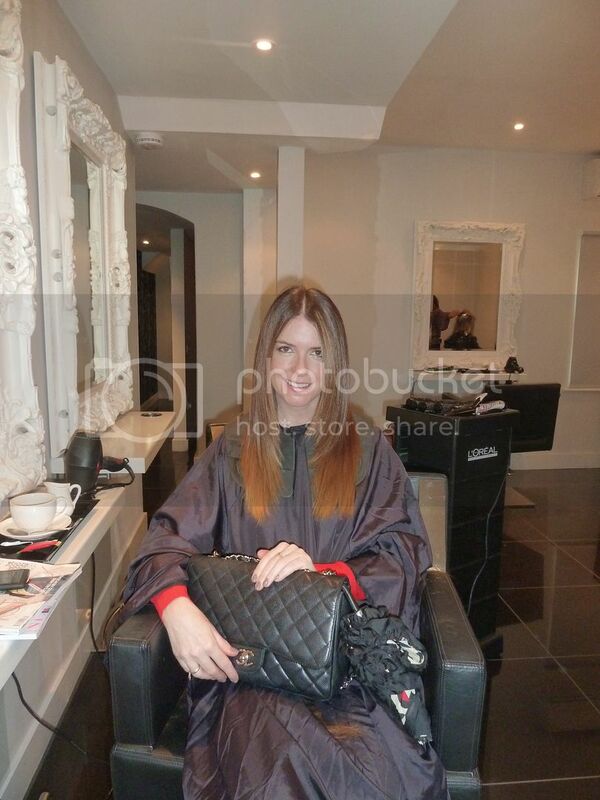 Sinead is an award winning celebrity hairdresser, with her self-titled salon in beautiful Barnes in South West London. And guess what… Sinead invited me along to get the Sinead Kelly treatment! 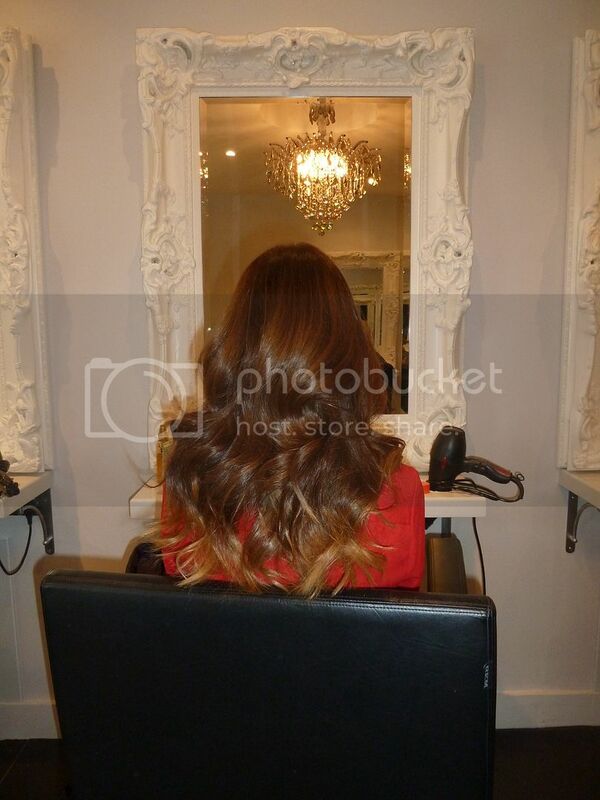 I had a hair botox treatment, a cut and a fab blowdry and curls. 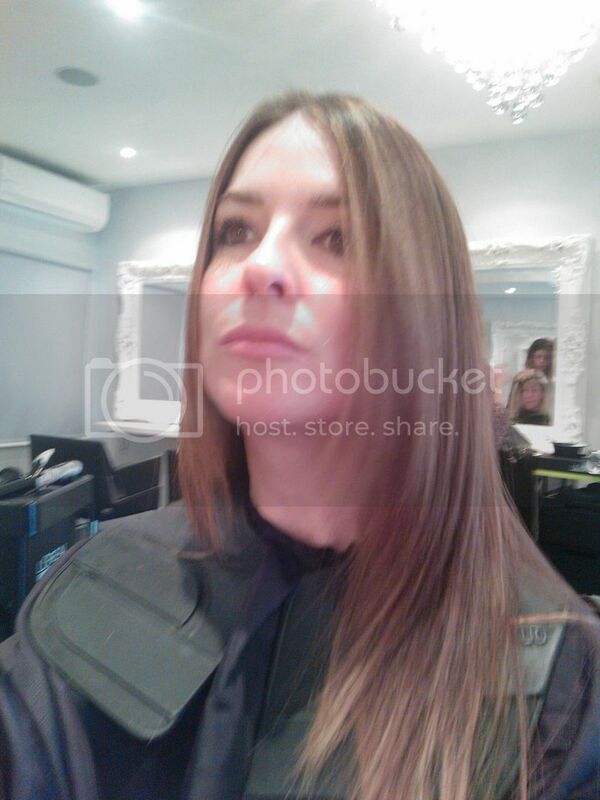 Check out my glossy, shiny locks!! And cos I know you’ll want to see…here are loads of other angles! Sinead gave me a fab tutorial about how to tong my hair without frazzling the ends using Mark Hill Ceramic Curling Tongs which is available at Boots. I shall do a post on that as soon as I have practised it to perfection. There’s a definite knack and I am all about protecting my poor dry ends! And I thought you might like to have a little look at the cut before Sinead curled it for me. So here are a couple of shots of that too! Excuse the gratuitous appearance of the bag!! I had it there because I quickly whipped my camera out…honest! 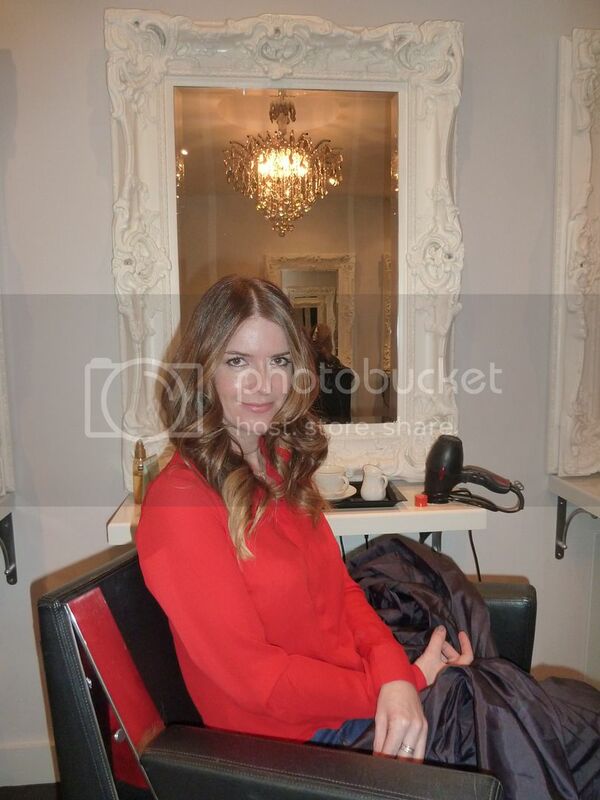 Sinead’s salon is absolutely gorgoeus. It has a lovely relaxing atmosphere, I kind of felt like I wanted to move in there. In fact I loved Barnes so much that I googled house prices when I got home!! It’s OK though, I definitely can’t afford it…yet! Also while I was there Kimberly Wyatt was having her hair done too and I do love a little brush with a celeb every now and then!! To find out more about Sinead Kelly, visit www.sineadkellylondon.com or tweet her here. She’s not just an amazing stylist, she’s a fab tweeter too! 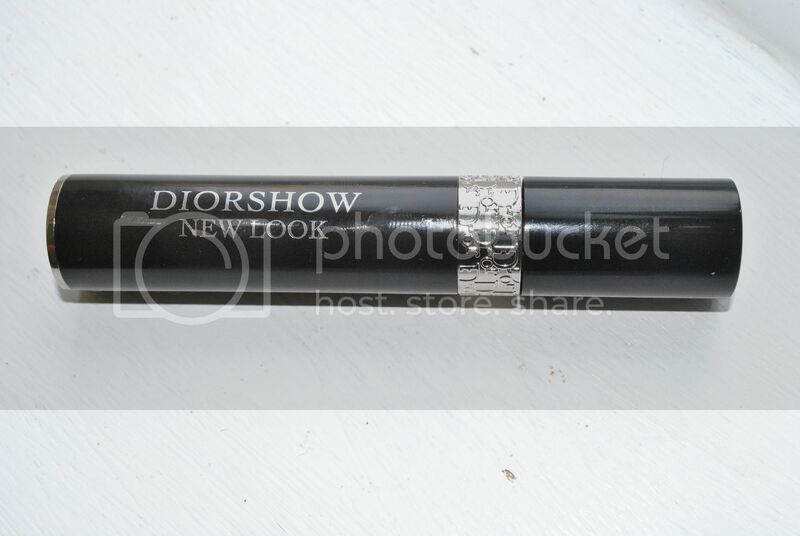 Diorshow New Look Mascara. It’s Love!!! This is one quick coat with absolutely no other makeup on. As you can see it has the most amazing volumising and lengthening effect and I have to say that it really has been love at first sight/application. 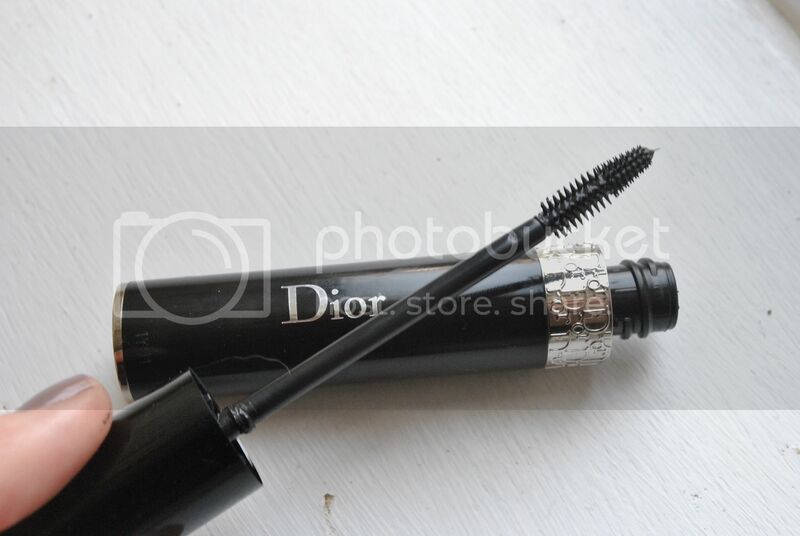 This is potentially the best mascara I have ever tried! The brush was a surprise to me as I have always been familiar with the big fat brushes of the original Diorshow. 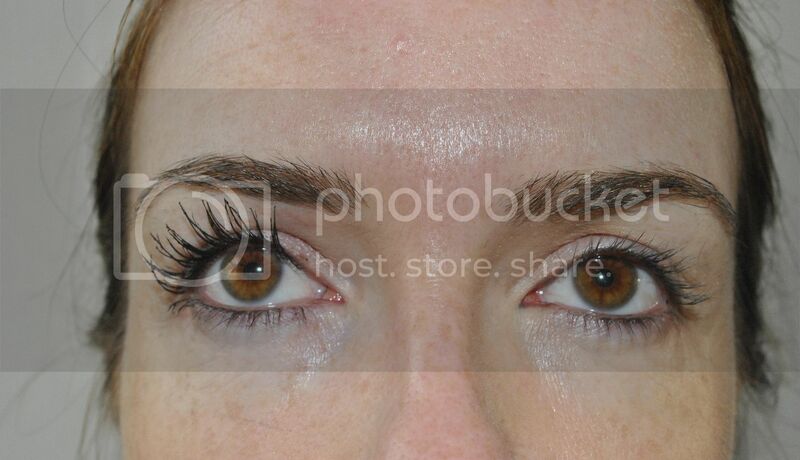 At first look I wasn’t convinced that it could achieve such an amazing result. But as you can see, it really does, even with just one quick coat. Just the look of it is enough for me but for anyone that needs to know more about what this mascara offers, here’s a few bits of info you may like to know. The ‘nanobrush’ is made of ground-breaking new material and is a combination of supple rubber and resistant plastic. It features 2 parts – the lower one has 4 reservoirs and separating spikes, which load lashes from the root and allows maximum extension while the upper part has a ‘lash catcher’ micro-headto make sure you catch every one. Lash Multiplier Serum which helps to coat each lash and the Dior Black Glass pigment with light-reflecting particles has a reported magnifying effect, increasing the depth and shine of the colour. Excitingly, Diorshow New Look is enriched with a regenerating treatment serum, with Royal Jelly extract which repairs the damaged parts of the fibre, and re-texturises the lash. It reacts to body heat to fluidify contact with the eyelid which allows serum to release its active ingredients as close as possible to the lash line. So not only does it make your lashes appear longer and fuller, it is actually treating them to create stronger, thicker lashes. Yay!! I wore this mascara all day and night yesterday and the lashes retained their dramatic effect, in terms of volume, length and colour, and there was absolutely no smudging. I carried it in my bag because it looks so beautiful, but there was no need to re-apply. It came off easily with my cleanser which is key as I sometimes find that long lasting mascaras are difficult to remove, which causes stress and irritation to the delicate eye area. So, in summary, I ABSOLUTELY ADORE IT!! It comes in 3 shades: New Look Black, New Look Brown &amp; New Look Blue and will be available nationwide 31st January 2012 priced at £23. 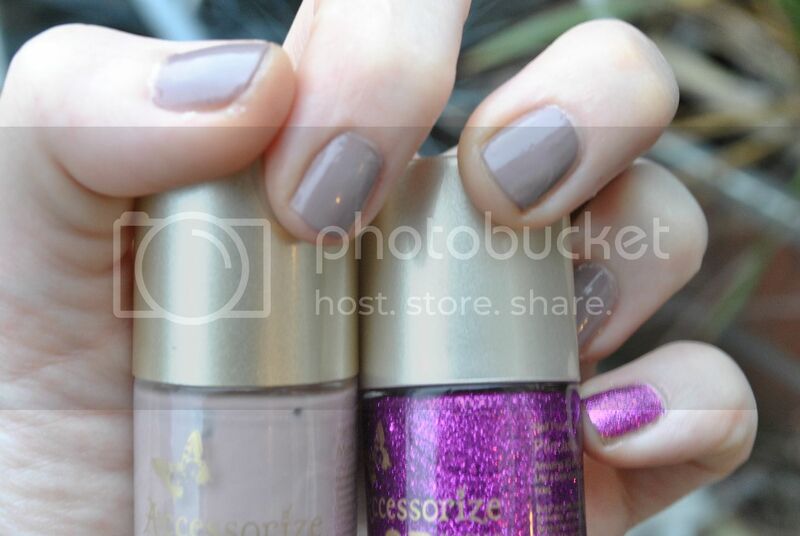 Check out these yummy shades from Accessorize. The taupey shade is called Mink and is from the new Autumn/Winter range. This is 2 coats but the coverage is so good that you could easily get away with one. The accent colour is called Princess from the new 3D glitter nail polish range. It’s gorgeously sparkly and shimmery and I am addicted to glitter right now (and forever!!). This is 2 coats. 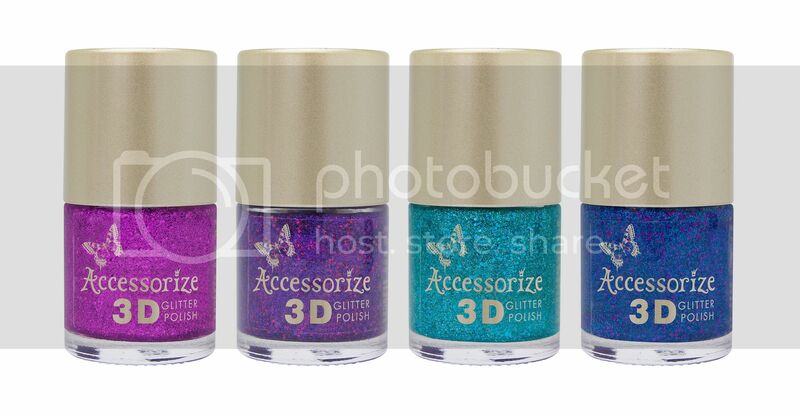 Polishes cost £4 each and are available now from Superdrug and Accessorize. They are so easy to apply and dry super fast. I’d definitely recommend you try them. Which ones would you pick? What colours are you loving at the moment? What do you think of my colour combination? Too many questions? Ooops that was another one!! Goodness! My skin gets so dry in Winter. And as much as I don’t like oily skin, dry skin is the worst as it emphasises every line and wrinkle and makes my makeup look patchy and uneven. 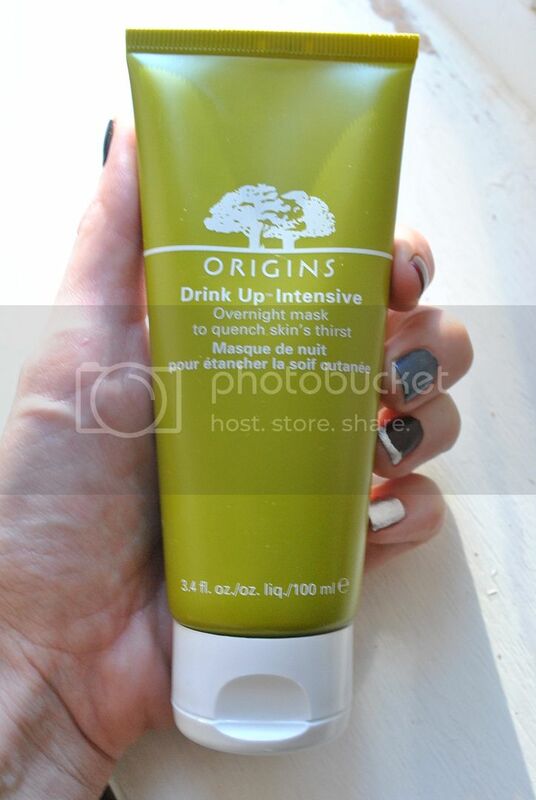 But, I have found something from Origins that really helps. The mask contains Japanese seaweed (to prevent future moisture loss), hyaluronic acid (to draw water into the skin), and Apricot Kernel Oil, Avocado Oil and Mango Butters to nourish and quench. It smells GORGEOUS – all fresh and zingy and yummy. I’d recommend ignoring the instructions as I find ’tissuing’ off always ends in disaster and yucky soggy bits of tissue stuck to your face. I found it works best if you don’t use too much – the amount pictured above is perfect for me – and then gently massage in to clean skin and you’re good to go…. to bed! My skin is soft, smooth and hydrated in the morning. I have also used it during the day for a moisture boost. For example I popped some onto my post-Christmas, dehydrated, carb bloated skin for the 3 hour drive back to London from my mum’s, and my skin was feeling and looking a whole lot better by the time I got there. You can massage in any excess, gently blot with a tissue if you need to and then go ahead with makeup. You can pick it up at department stores nationwide and it costs £20. 100ml will last you a good while if you use the same amount as I do. What are you using on your Winter skin? This is probably one of the least expensive outfits I have ever worn!! This was a last minute outfit because I got the dress and shoes a couple of days beforehand in the New Look sale. The dress cost £12 and so did the shoes. I bought the belt a few years ago in the ASOS sale for £1. This is seriously dressing on a budget!!! My coat is my fave from ASOS. Check out the makeup here. The tan is Glam Tan from Lauren Goodger’s beauty brand, Lauren’s Way. What did you wear on New Year’s Eve?